If Netflix was hoping to intimidate Symphony Advanced Media into submission by criticizing the company's data—which, for the first time, revealed how many viewers are watching Netflix's original series—it is going to have to switch to Plan B.
Symphony Advanced Media told Adweek today it is standing by its metrics, which Netflix's chief content officer Ted Sarandos derided as "remarkably inaccurate data" that "doesn't reflect any sense of reality of anything that we keep track of." Despite Sarandos' scoffing, "we have confidence in our data," said Laura Bernstein, Symphony's svp of client solutions. She said that Symphony's multiplatform measurement tool, VideoPulse, also measures broadcast and cable programming. And the company's partners and clients—which include NBCUniversal, A+E Networks and Viacom—have said Symphony's numbers echo the data they receive from other ratings sources like Nielsen. "There's some variation—there's different methodologies to data collection—but for the most part, we're very in line with other published numbers and with what our clients would expect. So our methodology is where people would want it to be on the broadcast and cable [side], where there is a comparison, which gives us a lot of confidence in what we're seeing in the streaming originals," said Bernstein. NBC kickstarted Symphony's battle with Netflix last Wednesday, when NBCUniversal's ratings guru Alan Wurtzel shared Symphony's Netflix data with reporters during the Television Critics Association's winter press tour. Wurtzel claimed Netflix doesn't yet pose a "consistent" threat to broadcasters. To make his point, Wurtzel cited data from Symphony Advanced Media, which has been tracking ratings metrics for the notoriously tight-lipped streaming service with VideoPulse, the multiplatform measurement tool Symphony unveiled last September. Among the Symphony data that Wurtzel shared: Each episode of Marvel's Jessica Jones averaged 4.8 million viewers in the 18-49 demographic within 35 days of its November premiere. Master of None drew 3.9 million in the demo, and Narcos was third with 3.2 million. Sarandos returned fire on Sunday, blasting Symphony's methodology and data. "It's a bold statement for them to make," said Bernstein of the company's response. "We've never had a conversation with Netflix, so I'm not even familiar with what they know of our methodology." While Sarandos argued that the 18-49 demo "means nothing" to Netflix, Symphony counters that the demographic is in fact incredibly important to the industry. "It's the demo that matters to the people who are selling advertising, so I do think that makes it an important demo," she said. "It is the industry focus, and in my opinion, when broadcast networks are getting questions about it, they're going to focus on the demo that is most important to them." While Symphony does measure Netflix audiences in 18-plus, Bernstein said NBC made the decision to focus on the 18-49 demo during Wurtzel's TCA presentation. Bernstein's team worked with Wurtzel to prepare the data he shared last week. While she thought the metrics would generate a heated reaction, "it was above and beyond what I personally expected," she said. "We definitely started a dialogue in the industry, which is exciting." When the VideoPulse launched last September, Symphony CEO Charles Buchwalter said the company planned to increase its panel from 15,000 to 50,000 in the first year. However, the company has since scaled back its plans, instead looking to increase its panel to 20,000 to 25,000 by the end of 2016. "We are focusing on the quality and not just the quantity, and making sure that we're a well-balanced, well-represented panel," said Bernstein. In addition to providing ratings insights into the performance of Netflix and Amazon's specific episodes, Symphony's data also shows that those who watch original series on SVODs like Netflix, Amazon and Hulu "are TV enthusiasts in general," said Bernstein. "The early data we're seeing is that it's not necessarily a substitution happening between Netflix streaming originals and broadcast television, it's more like the pie is bigger. People are watching more content across screens." The heaviest streaming of originals tends to happen on weekends, "particularly on Sundays throughout the day," said Bernstein. But there is also a large percentage of viewing during prime time throughout the week. "So it does show that there is potential for streaming originals to cut into the ability to watch broadcast and cable programming live in prime time. And I think that speaks to the importance of TV Everywhere," which allows authenticated audiences to view a broadcast or cable network's programming across a variety of platforms. While Symphony has yet to speak with Netflix, "We would absolutely be open to having a conversation," said Bernstein—who probably shouldn't be waiting for that phone to ring, given Netflix's vitriol. After its week in the spotlight, Symphony plans to continue to work with clients and develop insights related to VideoPulse. One new area of research: "understanding viewer paths between streaming sources and linear TV," said Bernstein, explaining that clients are interested in whether SVOD or other viewing of older seasons of a series help drive viewers to a current season. "So there is a lot of work and a lot of product development we're doing right now, understanding how people migrate between VOD and OTT and live and DVR to really understand and help consult with our clients on how to maximize the distribution of their back seasons to drive this new audience." 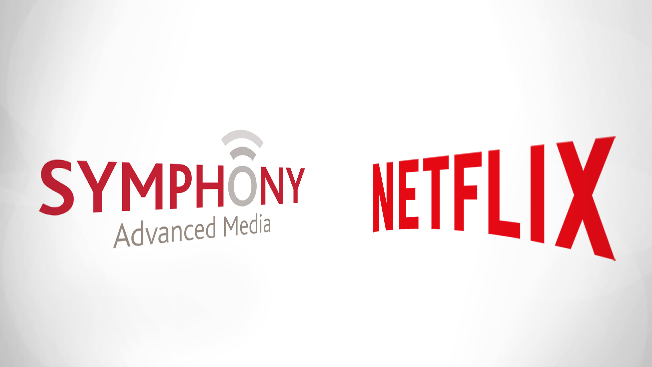 And yes, Symphony will continue to track Netflix, along with original series viewing on platforms like Hulu, Amazon and Crackle. "Wherever streaming originals go, the great thing about our technology is the flexibility that it allows us in data collection, so we'll be able to capture new content wherever it pops up," said Bernstein.